The largest and most populating city in the USA, New York City is famous as the “city that never sleeps” as it is always Bustling. With so much to explore and do in the city, it can be overwhelming to a New York novice. The metropolis is the epitome of culture, art, architecture, history, and entertainment. This comprehensive list highlights the Things to do in New York City that visitors will never find anywhere else. 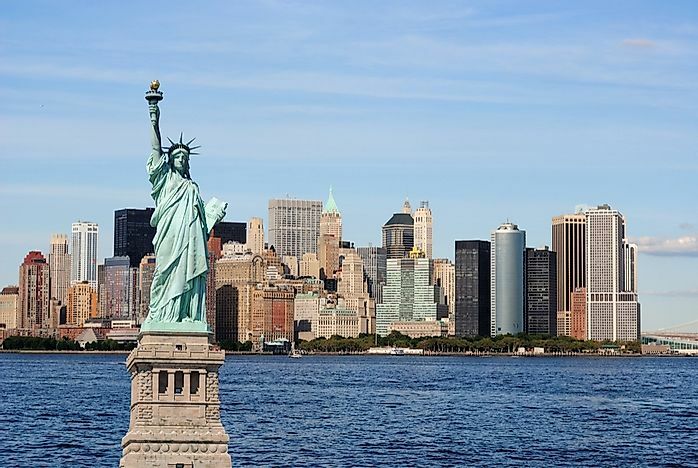 The Statue of Liberty, a surprise gift from France to the United Statwelcomescoms new arrivals to the shores of America for over a hundred years. Lady Liberty on her pedestal stands at an impressive 93 meters (305 feet). Which the travellers can climb for views of Brooklyn and Gustave Eiffel’s supportive framework. However, for those who choose not to climb the 154 steps to the crown, the pedestal renders panoramic views of the harbour and downtown New York City. Guided tours of Liberty Island is offered throughout the day by Park Rangers and self-guided audio provided in nine languages. Moreover, the tour is included with a ferry ticket to the island. It thereby Ranks 1st in the Things to do in New York. 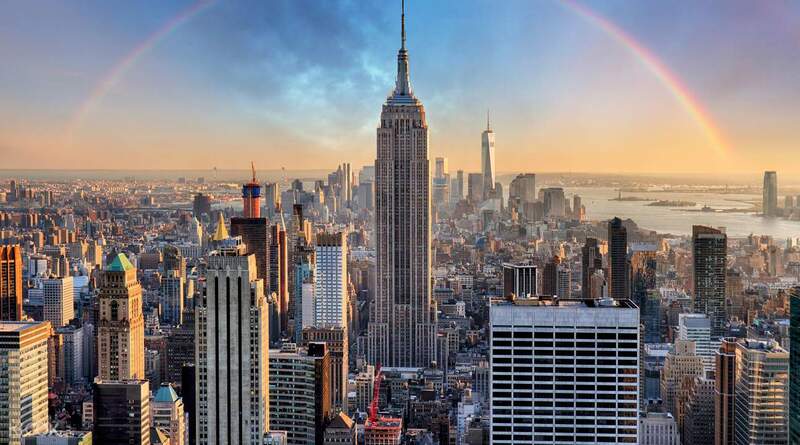 The iconic Empire State Building soars over a quarter of a mile above Manhattan and renders expansive views to the millions of visitors it attracts. On a clear day, visitors can view New York, New Jersey, Connecticut, Massachusetts, and Pennsylvania. There are 2 observations decks in the tower, on the 86th floor and 102nd floor. Both offer exuberant views and interesting facts about the building’s extensive history and significance. Further, the Empire State Building is apparent in over 250 films and is famous as “America’s Favorite Architecture.” It Ranks 2nd in the list of things to do in New York. Tickets: Available at the counter or online. With over 39 million travellers annually, Times Square is the world’s most visited tourist spot. The bright illumination and big city impressions of this commercial intersection symbolise this spot as “The Crossroad of the World”. Today, Times Square is a Dominant centre of the world’s entertainment industry. The annual New Year’s Eve ball drop, which commenced in 1907, is a staple of the square’s allure. The shopping, entertainment and a plethora of restaurants render many activities and options for every type of visitor. It thus embraces the things to do in New York City. The Brooklyn Bridge, built between 1869 and 1883, is one of the oldest and most recognisable suspension bridges worldwide. It stretches 5,989 feet and connects Manhattan to Brooklyn across the East River. More than 120,000 vehicles, 4,000 pedestrians, and 2,600 bicyclists cross the bridge on a daily basis. Visitors to the bridge can walk, drive, or bike across this famous New York City landmark. There is a pedestrian walkway situating above the traffic, where visitors can take in views of the harbour and both boroughs. The 2 km (1.3 miles) stroll across the bridge renders the admirable New York skyline. Things to do in New York proudly includes it in the list. Ranking as one of the most expensive shopping streets in the world, Fifth Avenue is a prime destination for visitors with a taste for luxury. The part of Fifth Avenue that crosses Midtown Manhattan is lining with shops including designer showrooms and prestigious department stores. The section of Fifth Avenue between 82nd to 105th streets on the Upper East Side is famous as the Museum Mile. Nine museums are situating along this stretch of Fifth including the Guggenheim and The Metropolitan Museum of Art. The National September 11 Memorial has been constructed in honour of those who died during the September 11, 2001, terrorist attacks. The names of those who died are respectively engraved in two bronze panels flanking the Memorial pools. Each pool is approximately an acre in size and marks the footprints of the Twin Towers that once stood on it. It offers to educate the public on the attacks via multimedia displays, archives, narratives and a collection of artefacts. Therefore, New York is a place of grand Extravaganza along with some of the Memorial, architecture that must be paid attention. So, definitely include New York to your checklist.